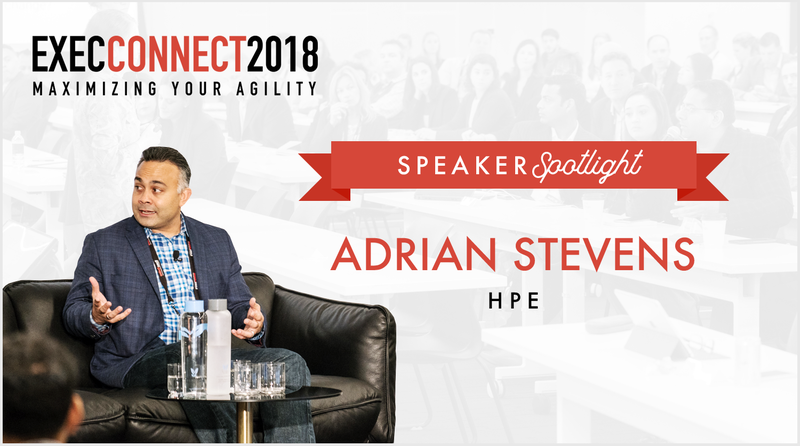 Very excited to welcome back Adrian Stevens, VP Learning & Professional Development Talent Enablement at HPE, as a featured panelist at ExecConnect 2018! This is Adrian’s second year attending ExecConnect and we’re thrilled to have him back. As Vice President of Learning & Professional Development at HPE, I am responsible for the enterprise wide Learning strategy, including leadership development, assessment, coaching, on-boarding, professional skill, function and compliance portfolios. In 2018 I have been grateful for the opportunity to lead the development of HPE’s people strategy, as we advance the way we empower our people to lead technology and realize their potential. Prior to the launch of Hewlett Packard Enterprise, I led the L&D separation management office at HP, contributing to one of the largest and fastest corporate separations to date. The critical and timely separation of learning programs, processes, systems, functions, and people, resulted in the successful stand up of learning ecosystems for both Hewlett Packard Enterprise and HP Inc.
A passion for helping others succeed… that’s it! How is the L&D space changing? Appreciating the rate of change across industries and growing need for all us to continuously learn and evolve our capabilities, I see the importance of the L&D function growing. We are faced with a new business imperative to develop and execute a multifaceted learning strategy that enables the democratization of learning and the cultivation of a company culture that embraces learning as a strategic advantage. I love laughing with loved ones, some sun with sand or mountain, and the catharsis of a good heavy metal gig! What are you looking forward to most at ExecConnect 2018? A chance to learn from the ExecOnline team, their business partners, and the ExecConnect participants I am set to share the experience with. Oct 2-3 in New York City. Tickets are selling out fast, so register now!